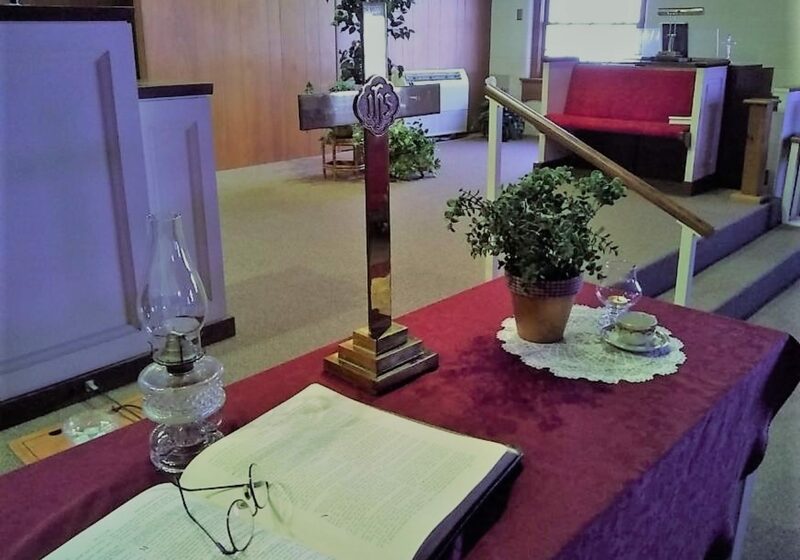 First Mennonite Church | McPherson, Kansas – We have good news to share! Come join us. We have good news to share! Come join us. WHO IS FIRST MENNONITE CHURCH, MCPHERSON? We worship God together Sundays at 10:40 a.m. in a traditional worship service. We study God's Word together Sundays at 9:30 a.m. and Wednesdays at 7 p.m. in fall and during Lent. Our kids get together with the Church of the Brethren kids for "Kingdom Kids," Wednesday evenings during the school year, at 6:00 p.m. to learn God's stories, songs, games and other fun. We bring God's love to others through the ministries of Habitat for Humanity, Mennonite Central Committee relief work, Save & Share Thrift Store, P.E.T. (Personal Energy Transport) ministry, ReUse it Center and many other ministries to those in need. Feel like family at First Mennonite Church, McPherson! Come join us in faith life together. At McPherson First Mennonite Church, we have good news to share by worshiping God, through our caring and in our beliefs. Please come join us. Worship at McPherson First Mennonite Church can sound traditional or innovative. You might hear an organ or bell choir or you might hear drums and an electric bass. The pastor might preach a sermon or be in costume acting out the life of a Bible character. We celebrate around the Lord’s table regularly. All are welcome at 9:30 a.m. Sunday School for all ages and 10:40 a.m. worship. In fall and spring, there’s bible study for all ages. In a society where people are on the move, it’s easy to feel disconnected. At First Mennonite Church you can connect with caring people through small group get-togethers, summer service projects, quilting, handbell choir, a women’s group, or at our annual church retreat. Kids can connect with caring adults and other kids in weekly Sunday School, Kingdom Kids (our mid-week bible club), Vacation Bible School and through church camp adventures at Camp Mennoscah. You’ll find McPherson First Mennonite Church participants out in the community volunteering with Habitat for Humanity, CROP Walk, Churches United in Ministry, Save & Share, Mennonite Disaster Service, Ten Thousand Villages, Mennonite Central Committee, and at the local food bank. We are always on the lookout for new ways to serve others in the name of Christ. God seeks to restore fallen humanity by calling a people to be faithful in all of life. Jesus is the son of God who taught how to be faithful. Through his cross and resurrection, he redeemed the world. The church is a community of those the Spirit calls to turn from sin, acknowledge Jesus as Lord, receive baptism and follow Christ in life. The Bible is interpreted in light of Jesus by the faith community, under the Holy Spirit’s guidance. The Holy Spirit empowers us to become peacemakers who renounce violence, love our enemies, seek justice and share possessions with those in need. The faith community gathers regularly to worship, celebrate the Lord’s Supper and to hear the Word of God in a spirit of mutual accountability. We seek to live in the world without conforming to the powers of evil. We witness to God’s grace by serving others, caring for creation and inviting others to know Jesus. First Mennonite Church, MPherson began in 1945. We have membership in the Mennonite Church USA. The Mennonite Church USA is one of 20 groups of North American Mennonites with varied lifestyle and religious practices, which all stem from the Anabaptist (“baptized again”) movement of the 1500s. Today Mennonites worship in 61 countries. Mennonites believe that Jesus Christ is central to worship and to everyday living and that to be Christian is to follow Christ’s example in all of live. Membership is voluntary, with adult baptism upon declaration of faith. We welcome all who seek to follow Christ in life. Hold mouse over days shaded in green to view events.